I like the look of the Cemetary Bros. 2. 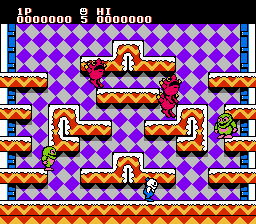 Yay, a Kirby's Adventure hack. 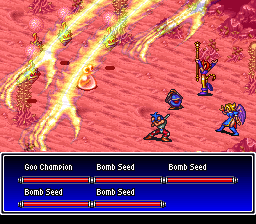 I'm extremely happy to see a rebalance hack of BOF2 ESPECIALLY one that uses the unused lower stat bit of the Shaman System! I'll need to try that bad boy out! Does Ryu suffer any other penalties when given a bigger spell list, or is the difference between the two patches solely giving him new spells? The only difference is as you say, in one patch he gets more spells than the other. The rest is the same exact thing. You could consider the version that gives spells the normal one, as it's how I wanted to make it. The version without the expanded spell list is there just because I know some people would prefer just to use his Dragon Powers and nothing else, and adding spells to Ryu would make that more annoying for those players. Nothing more, really. I just wanted a main character that could to more stuff; but I do know that others wouldn't like that. Yeah, your comments here were what made me look at it. It was quite a cool finding, and I wonder why it ended up being unused. It was kinda fun to mess around a little with the shaman bonuses; you can even change them so for example make that Sanamo bonded with Bosch transforms Bosch into another character, I don't know, Lin. The transformations, as I try to explain in the readme, attempt to change a character instead of just improving it; so the original form is still useful. Transformed Sten is less physically powerful than normal Sten, but it can cast magic for much longer, and the added Wisdom makes things like Death or Weaken work more often, for example. Also, thanks again for helping me find the offensive spells damage offsets! I'm glad you find it interesting! I only hope it's worth your and others time. I always ask myself it these OCD projects of mine are really worth sharing, and I get quite nervous after submitting them thinking about it, lol. Now that I see the two hacks I submitted were accepted and I updated my FFIII and Skies of Arcadia things; I think I'll take my chance and go hide under a rock for some time. I'm burnt out from rom hacking and I feel like I need to forget all about it for a while. The time these things have taken from me this last few months so I could finish them for once was a bit too much. My fault for hacking RPGs, I guess . Oh, I understand your worry. Atk-Up/Might is a very strong spell. By the point characters start learning this spell, you should be around the events of the Evanth Curch, meaning that you are around 80% done with the game, and you won't have much time to use it (and, for example, the final boss can remove your buffs). The way the level ups work means that you don't need to keep the levels of your characters as high as before, and you reach 35-37 around that part by playing more or less normally. In Rand's case you could very well be already in Infinity when he learns it. And Bleu/Deis does not get it anymore to avoid having access to it too early. With a cost of 15 AP, it isn't recommended to spam either. Ryu (if you choose to have him learn seplls) does not have much AP to use it freely, and even less if you want to keep using Dragon powers, and Rand learns it quite late, so you don't get too much use from Might either. Aspara is probably the only one that could use it relatively well, and that character already learns it in the original game. You also need to have in mind that, if someone wants to abuse this effect (or the game in general), that person would rather mass produce items via the cooking system by choosing the normal carpenter (probably also making a ton of biscuits and other things), or by getting Medusa Shields (I can't remember the name on the Retranslation) and use them for no AP cost (Although the monsters that drop it are stronger, so now they are a bit harder to get). I need to think about people not choosing the normal house too (even more now that you don't need the permanent stat-upgrade items to make the less useful characters better), and if you choose one of the other two, you won't see many of the stat-up items, or Wisdom Fruits for that matter. And if you choose to not have Ryu learn the longer spell list, you only have Rand and Aspara; instead of Aspara and Bleu/Deis. That's 2 characters out of 8 (9 with Deis), 3 with the normal patch; and each player would make his/her own team based on what they want, or what characters they like. I tried to look it from different angles. Wow, Maeson has hacks other than Skies of Arcadia: Legends... He's a man after my straight male heart. The SFII mod sounds like it stands a chance of making SFII as interesting as the first game in the series. IIRC, SFII's fourth difficulty, confusingly, is actually the second hardest and the third difficulty is actually the hardest... What difficulty is the SFII mod balanced for?